The practice of identifying significant leadership traits has been chased for years. There are numerous successful attributes that have remained constant over time. Critical thinking, coaching, flexibility, problem solving, and the ability to execute are nothing new. 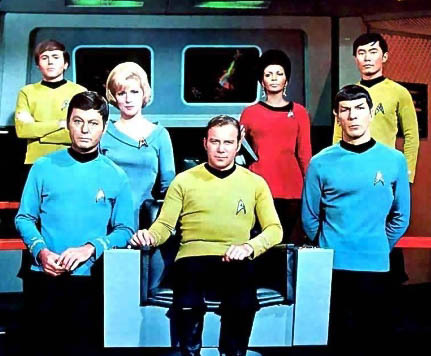 Even the fictional James T. Kirk, when taking command of Starfleet’s U.S.S. Enterprise in 2264, embraced many leadership beliefs we’ve held in high regard for eons. Moving through the 21st century, following new models for business success will demand the enhancement of certain leadership skills. The following list of characteristics, though not complete, will still act to support ongoing conversation of what skills will become even more important moving forward. Communication – Communication continues to rank as one of the top leadership skills. How skillfully a leader communicates is a major factor in credibility. Communication needs to be consistent and open dialogue must be supported. Share company ideas and progress within the team. Discuss potential obstacles and how to push through them. Leaders need to invest and continually strengthen their storytelling skills. It is a powerful tool when solidifying concepts and connecting with people. Emotional Intelligence – EI goes beyond the ability to express and control our own emotions and includes the capacity to understand, interpret, and respond to the emotions of others. Flexibility & Focus – Being comfortable with the speed of change, or at least having the ability to be “comfortably uncomfortable” is a key skill. Maintain the expertise to remain focused in a fast changing environment. Help those around you develop that same skill. We live in fast moving times. Social media and technology allow us to hear from numerous people at a faster pace. Information is transmitted immediately. This creates challenges as well as new opportunities. Character & Authenticity – Understand what you bring to the workplace with regard to integrity, ethics and honor; know your philosophy regarding business, clients and your team. Be aware of the brand you are intentionally or unintentionally building and what it represents. Leaders impact those they lead. It is critical to your success, and the success of others, that you are authentic. Follow up on what you say you will do. This affords you the opportunity to gain trust and offer value. Be resilient. Acknowledge disappointment, but quickly recalibrate and move on. Celebrate successes. Collaboration and Partnership will continue to grow. Ben Dattner, Ph.D., an organizational psychologist, states it very well, “Twenty-first century leaders might benefit from thinking of themselves as being in the center of a web rather than on top of a pyramid.” We are more connected to a variety of unique sources, information and people than ever before. Value ongoing networking. Find ways to share information. Acknowledge contributions, everyone wants to feel appreciated and good about what they’ve contributed. Recognize how individuals and groups add to the overall outcomes. Inspire people. Respect others, listen. Strengthen Focus on Diversity – As our world metaphorically continues to shrink we must be well prepared to embrace unique perspectives. Spend time with all members of your team and network. Gain new perspectives. Connect with a wide range of people and cultures. Uncover what individuals are hearing, saying, feeling, doing. Listen to frustrations and look for original ideas. Value input. Today’s leaders must constantly be challenging company conventions to keep ideas flowing. Strengthening diversity allows you to identify opportunities before your competition. Learn from other industries that embrace diversity in the workplace. Shows like the sitcom Silicon Valley demonstrate how being unique is important and very much appreciated in this competitive world. Knowledge – Cultivate lifelong learning for yourself and those around you. Educate yourself quickly and shift on a dime. Be adaptable. Go beyond hiring people that are capable, hire people that have potential. Understand that today’s job will be different tomorrow. Think ahead. Build a company where employees feel comfortable seeking knowledge and bringing ideas forward. Explore new options, learn from mistakes. Brainstorm. Encourage passion. Successful leaders don’t take their position for granted. They cultivate leadership skills and are lifelong learners. Pursue Enduring Value versus simply financial results. It is a growing trend that people seek more purpose in their careers. An increasing amount of companies are embracing their value on society, overall. There is expanding interest from customers when making buying decisions on how companies view their community responsibility. Ensure you understand the impact your organization has on all those around you. As the idea of corporate social responsibility continues to grow, 21st century leaders will need to understand that if they want engaged employees, they must add to the purpose and development of the individual and the community. Grasp this growing trend and explore how your firm might support efforts to improve lives. Go beyond achieving the appropriate results and work towards building an enduring added value for all. What has your experience been? Where do you believe we’re headed? Carla Perrotta is an operating leader who was raised through sales and business development. She has extensive experience in growing and expanding firms. Carla enjoys working with companies in growth mode, turnarounds and start-ups. Because of her years in the staffing and service industries she has a keen focus on its greatest asset, people. She can be reached at: carla@carlaperrotta.com.